Welcome To Amherst Small Animal Hospital! PLEASE WELCOME OUR NEW LICENSED VETERINARY TECHNICIAN BEKKA! 8/20/18: There have been many reports recently of heart issues in dogs fed grain-free diets. Several different diets have been implicated, but currently we are advising you that IF you feed a grain free diet to your dog, you may want to consider switching to a diet that contains grain. This is the simplest, most conservative action you can take until we have more definitive information about this issue. We will keep you advised as more information emerges about this issue. Please contact us if you have any questions about this. We have been a Fear Free/Low Stress Handling practice for many years, but now we congratulate Dr Stein on becoming Fear Free CERTIFIED! The goal of this program is to reduce stress on both pets and owners by making their visits to ASAH as low stress and without fear as possible. Congratulations Dr Stein! Did you know we have offered Stem Cell Therapy for many years? We have a lot of experience with this regenerative therapy and have helped many pets enjoy significantly more comfortable lives. Amherst Small Animal Hospital is a full-service veterinary clinic for dogs and cats offering state of the art medical care for your pet. We are your “other family doctor”, we want to take the time to get to know you and your pets in order to provide you with the best, most complete and individualized veterinary care possible. At Amherst Small Animal Hospital you aren’t just an account number, and your pet isn’t just a name on the computer screen! Here are some tips for getting the most from your appointment! Canine Platelet Enhancement Therapy, an exciting new therapy for dogs with arthritis! 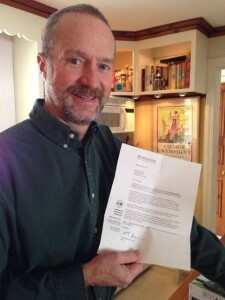 Congratulations to Dr. Stein on completing his Certified Veterinary Pain Practitioner certification through the International Veterinary Academy of Pain Management. Dr. Stein is a past president of the IVAPM. Here at the Amherst Small Animal Hospital we want our clients to know more than just the names of our staff. Click here to meet some of our new friends. New patients, please click here. Patients having anesthetic procedures (dental, spay/neuter, surgery) should have no food after midnight the night before, water is fine until you leave in the morning, drop off is between 7:30-8:00 AM. We want to keep clients informed about what we do and why we do it. 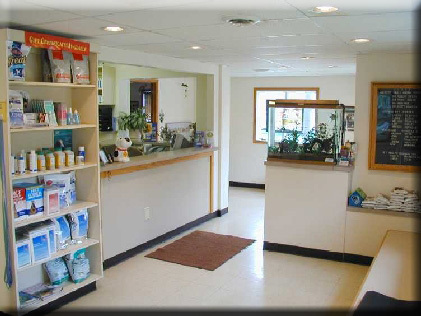 So take your time exploring our Web site and learning about the Amherst Small Animal Hospital! Click here to find out what makes us different. Take a look at our Resource Library to learn about everything from collecting a urine sample to how to prepare a bland diet when your pet has an upset stomach. Browse our Frequently Asked Questions for answers to, well, frequently asked questions about vaccinations, Internet pharmacies and more! Household Toxins like cleaning supplies, liquid potpourri, batteries, bleach, etc. If you feed your dog a Purina food, and currently buy online, please consider purchasing through the ProPlan VetDirect link below, free shipping, prices comparable to Chewy, promotions, and you will be helping to support our clinic!